Come check out our Wooly Worsted yarn trunk show! We'll have blankets, sweaters, scarves, cowls and lots of fun projects on display all through the holiday weekend. Fun! Garment Show at Colors 91711 for Yarn Crawl LA! Hang out with Heather during the LA County Yarn Crawl! I'll be at Colors 91711 in Claremont talking yarn and having fun! 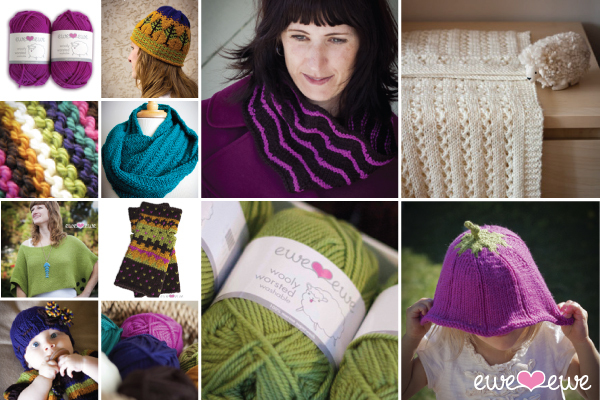 Head to Yarns, Etc in Chapel Hill, NC to see the newest knits from Ewe Ewe!